Anderson did an early morning appearance Monday on Fox 13, Tampa Bay, before heading to NOLA. Hours after giving birth to Lorenzo "Enzo" Dominic LaValle on Sunday morning, Snooki (real name: Nicole Polizzi) gave Cooper a Twitter shout-out in appreciation for the present he sent. "Thank u so much. Just got ur gift!" she wrote. "We love you, Mr.Anderstand!" So what did Cooper send the 24-year-old first-time mom: A leopard-print Onesie? Baby tanning lotion? A jar of specialty pickles? None of the above. Cooper's gift was in fact a sweet one. He sent Snooki two dozen cannolis from Carlo's Bakery in Hoboken, New Jersey, a rep for his daytime show, "Anderson Live," tells omg! exclusively. The famed bakery is featured on the TLC reality show "Cake Boss," which centers on Buddy Valastro and his family of tasty treat makers. 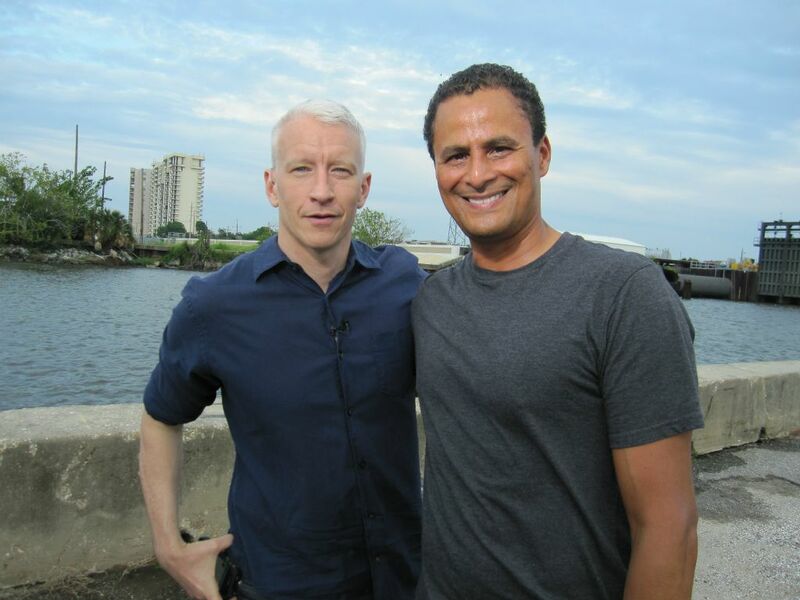 Anderson was back in Tampa tonight and opened CNN's RNC special coverage with Wolf Blitzer. 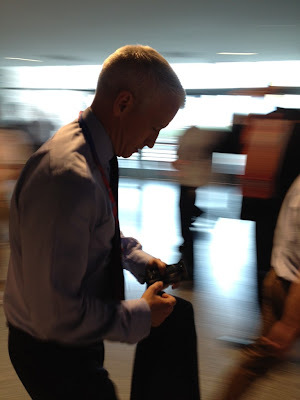 CNN had people staged throughout the convention center and Anderson was in a sky box with his various panels, including Gloria Borger, Donna Brazile, Alex Castellanos, David Gergen, John King, James Carville, Roland Martin and Ari Fleischer. Stan Wilson, a CNN producer, tweeted this picture saying "Reuniting with @andersoncooper in #NOLA for #ISSAC. 7 years ago we covered Katrina along the Missiissippi coast." 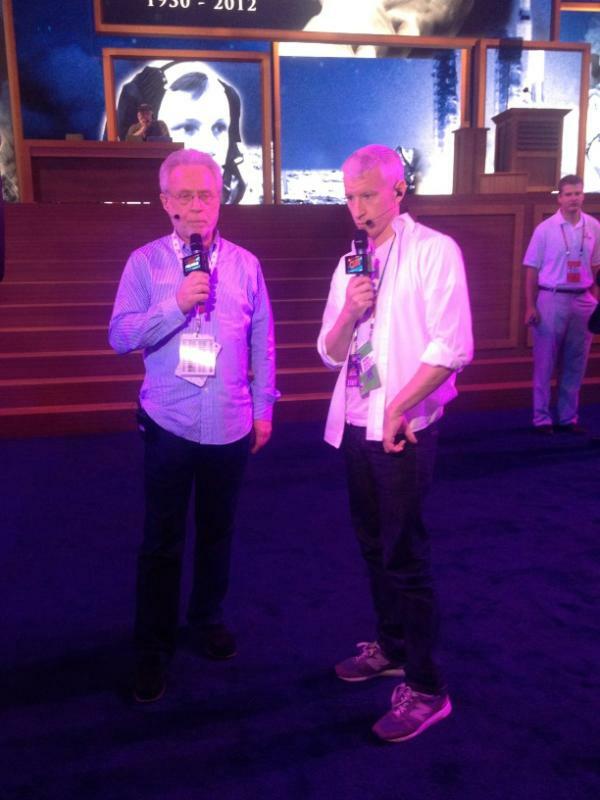 SocialiteLife.com posted several photos of Anderson broadcasting from NOLA on Monday evening. Please click on the link to view the post with the gallery of all 18 photos. 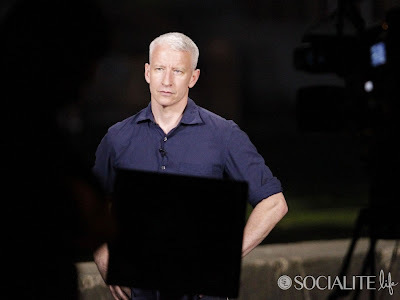 Anderson Cooper, Soledad O'Brien, Shepard Smith on the ground Please click on link. Anderson was back very briefly, talking with Piers, when he lost his signal and the hour ended without further reports. We'll keep an eye on things overnight and tomorrow and if Cooper files further hurricane reports we'll post them asap. Here's the rundown of Anderson's reports from NOLA today. While we don't have all the details yet we do know that Anderson and Soledad O'Brien left Tampa this morning on their way to New Orleans to cover Isaac, which is predicted to make landfall late Tuesday or early Wednesday. To read more about the storm check out this article on CNN.com. 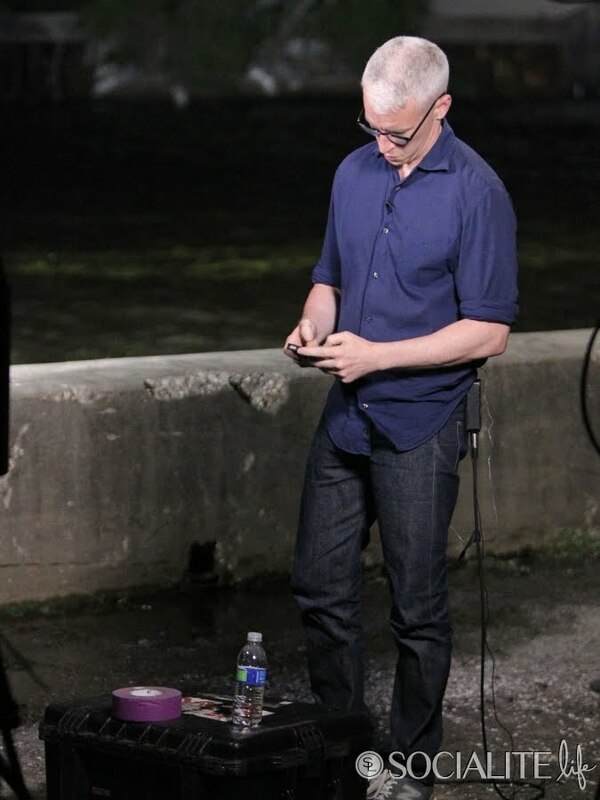 Anderson Cooper and Soledad O'Brien are headed to New Orleans, Louisiana, where they will join CNN’s news and weather anchor Rob Marciano later today. Anderson will anchor portions of our prime time coverage tonight from New Orleans and Soledad will anchor Starting Point Tuesday and Wednesday mornings from New Orleans. 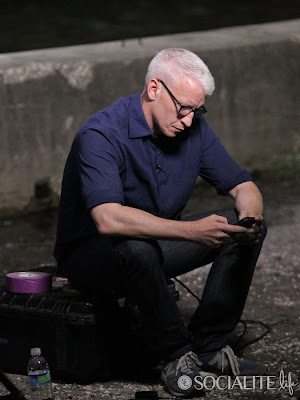 Over the weekend Anderson rode on a float in the Mardi Gras parade on Sunday and stayed to anchor AC360 from the area on Monday and Tuesday. Please join us next week as we share more from Anderson's earlier return visits to NOLA!